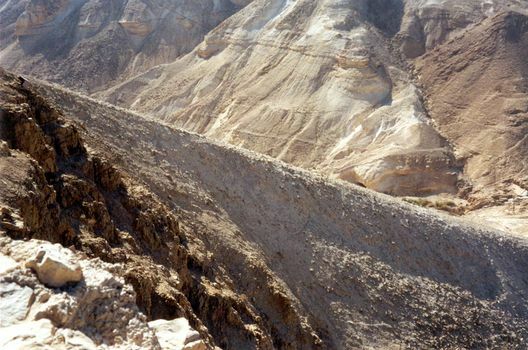 We're going down the west side of the Dead Sea toward the freshwater spring of Ein Gedi and the iconic butte called Masada. 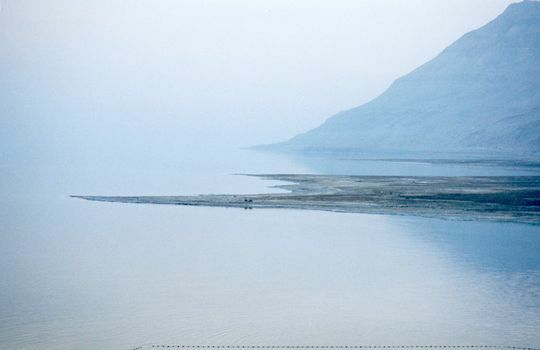 Visibility-clouding mists are common on the Dead Sea. 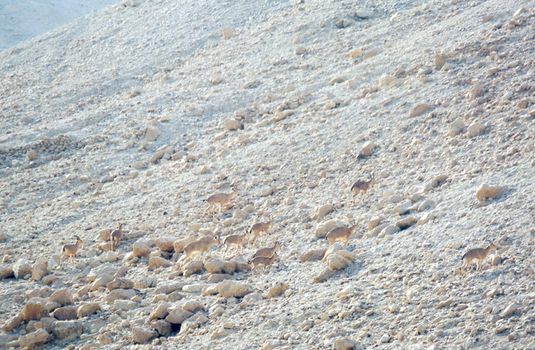 The emerging flats are an indicator of the sea's declining water level, a result of high evaporation and diversions from the Jordan River. 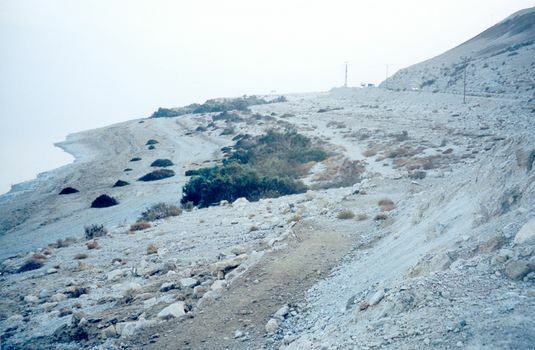 The highway here, which traces the western bank of the sea, was once close to the water. 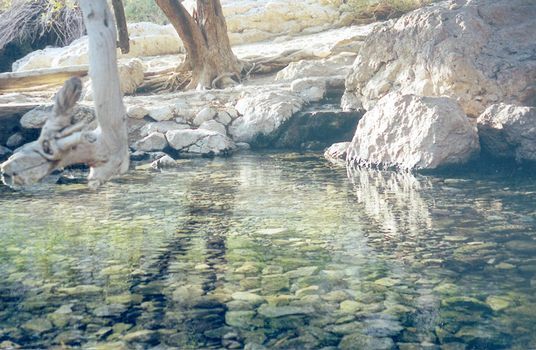 Unlike the stinging brine of the sea, there is fresh water at Ein Gedi. The spring has been capped and its water put to utilitarian uses, but a small quantity is allowed to run into this pool, for which hikers with an ounce of brains are grateful. 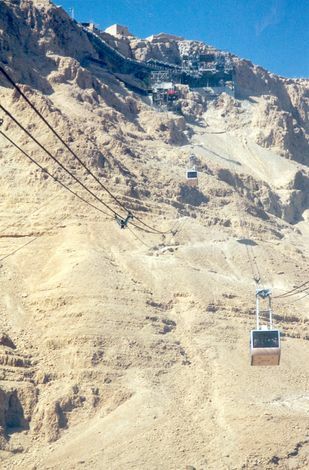 In Turkish times, the spring water was run through this grain mill, which raises the interesting question of where the grain came from on this barren slope overlooking the Dead Sea. The answer, presumably, is from the hills farther west, where there is a bit more precipitation but even less running water and where the alternative to carrying the grain back and forth was grinding it by hand. 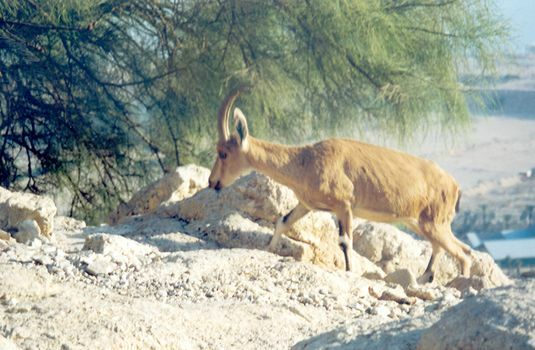 The name "Ein Gedi" means "spring of the ibex," and ibex there are, singularly tame. 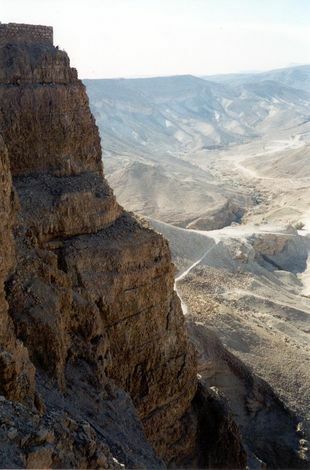 South of Ein Gedi, this is the butte of Masada, accessed either by trail or cable car. You hike up; it's good for you. Up top. 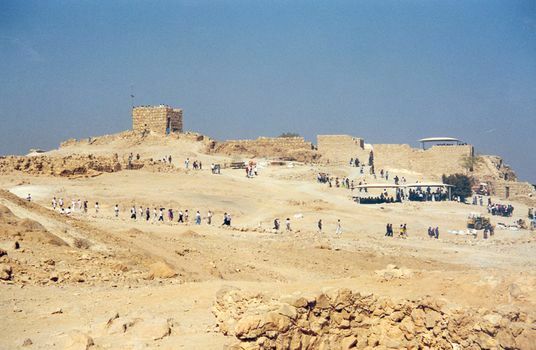 Groups listen soberly and without a trace of skepticism as tour leaders recount the history of Josephus, who tells of Romans conquering the place and finding only the bodies of families who had committed suicide rather than face slavery. This is powerful stuff--the kind of story that builds national identity. 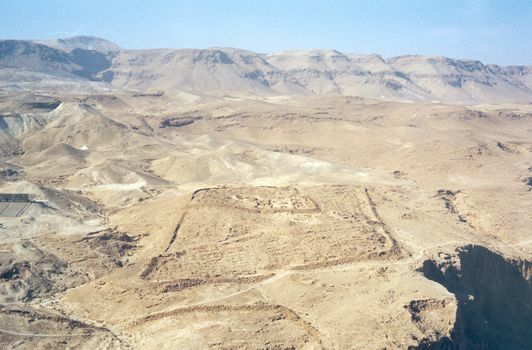 No doubt the Romans did seize the place: here is one of their camps. The cliffs look impregnable, but the Romans had time, labor, and experience. You can see here the residue of the earth ramp they built so they could eventually just walk in. A closer view. 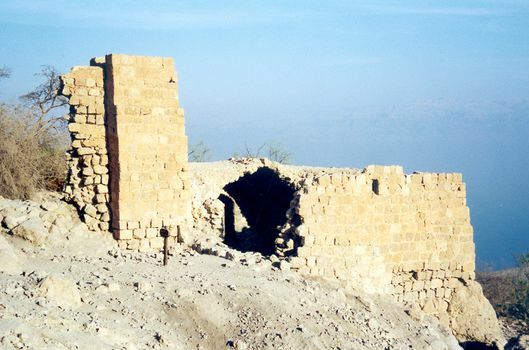 Contrary to Josephus, the Romans may instead have entered the fortress and killed everybody.